Kicking off the first day of Armchair BEA with another fun post from Suey of It's All About Books, another member of our 2014 team. Read on and weigh in on her thoughts regarding the definition of literature. To kick off Armchair BEA this week, we're asking everyone to post their ideas on all of literature as a whole. I'm assuming that when most people think of literature they think of the posh stuff... the high and mighty great works. The literary fiction that is sometimes written above some of our heads. The deep and moving, thought-provoking,lesson-learning stories. And it is all that. But it's so much more too. 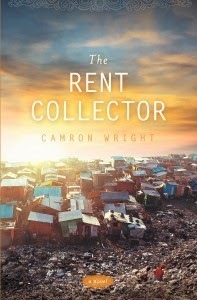 I just read a book, The Rent Collector by Camron Wright, where the main character is charged with the quest to "find literature." She lives in a dump in Cambodia, but that does not stop her. She goes out and finds it anyway. She is told, "you'll know it when you see it" because at first this mission baffles her and she isn't sure what she's looking for. But it turns out to be true. When she finds it she knows. When she finds it, she is moved. When she she finds it, she deems it literature. 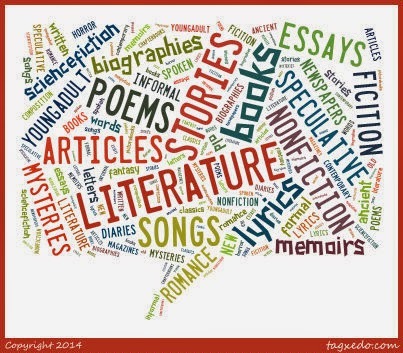 I asked my family how they would define literature and wow, what a debate that sparked! "It's any written word," said one. Another said, "it's the written word that stands the test of time." One pointed out that it's quite the subjective thing and one person can deem it one thing, while another person can feel it's something else. And both could be right. As for me, I think literature is any written (or spoken even, with the potential to be written) word that moves the reader in any sort of way. Thus, it CAN be the deep stuff mentioned above, but it can also be the genre fiction, the YA and middle grade books, the picture books, magazine and newspaper articles, profound quotes written on the subway walls, song lyrics, and our own feeble attempt at writing. I feel it's the reader that truly makes the decision, not the writer, or the publisher, or the marketer. Well, no matter the definition, I know that it's a good thing, this literature, and I love it. I will partake. Suey has been blogging about books at It's All About Books for over seven years. She loves pretty much everything she reads including all YA, fantasy, classics, scifi, historical fiction, and non-fiction. Besides reading, she loves to get hooked on TV shows, drool over movies and blast music in the car. She's the mom of four big kids and has recently survived the weddings for two of them. Also, you may have seen her heading up Bloggiesta a few times a year. I love your explanation of how to define literature. It hate to admit it but when I think of the term literature I automatically go back to the classics I read when I was in school. Yet I know deep in my heart the term literature has such a broad meaning. It all depends upon how a person defines it. As an author, I hope my books will one day be defined as a classical piece. Nicely said! 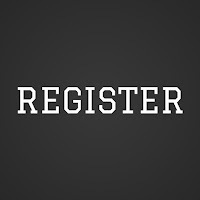 I am in the it is any written word/work category and then we further define it..middle grade literature, young adult literature, woman's literature and within those categories we deepen the definitions to include genre's, classics, etc. Suzy: It's a good one, that book. I'll be writing more about it on my blog later. He came to my mom's book club and so we heard all the cool stories! I've been wanting to read that book! Kim: You should totally do it! I enjoyed your article about what is literature. I love this question to ponder since I've been an avid reader/writer for so many years. Thank you! Yes, and that book you mentioned sounds really good too. Bette: It's fun to think about and/or debate! Great post, Suey! I'm of the same mind as you. When I took a class a few years ago, we asked exactly this same question. And, you're right. It sparked a debate. I don't think you can officially define it because it's different for everyone and it's the reader that defines it. Because I started to read when I read Twilight, I'd say that's literature. While others would call me crazy. Bravo on your post! Jenni: Yeah I'm not a fan of the snobby thing! Yes, when the words “literature” or especially “English Literature” (I’m using capitals deliberately for the latter, as that’s how it was used at school) come to my mind, it is as, as you both say above, the “classic” works that I think of. My experience at school turned me on to some things and off others. Strange, considering we had the same teacher for the whole of the five years that I studied the subject. I’m fond of the works of Shakespeare and John Keats but not George Eliot or Dickens. The Brontë sisters and Thomas Hardy fall somewhere in between and I must re-read them sometime. Sadly, our year didn’t get to study any of the works of Jane Austen but I discovered her all by myself, prompted by seeing the 1940 dramatisation of P & P at age 11 and then going on to read first that book and eventually the rest. I think that snobbery abounds regarding modern writing and whether it’s regarded by those same snobs as being good enough to be classed as literature. Does an author have to be nominated for one of the grand literary prizes, such as the Booker? If so, I’ve probably read only one of those- Cloud Atlas by David Mitchell and that was due to the concept of a series of next nested stories travelling forwards and then backwards in time, not because it had been nominated. I’ve lent it to several friends and colleagues. Some loved it like me but some couldn’t cope with the concept. They tended to be the ones who love the latest “celeb autobiographies” ghostwritten for these “celebs” whilst they’re still in their early twenties. I AM aware that it’s me who’s being the snob now! In the end, all written works have their value. If people are encouraged to read and gain knowledge that way instead of, or as well as, absorbing what we’re fed by the various forms of media available nowadays, then it MUST be a good thing. Anji: Wow! Thanks for all your thoughts! But yes I agree, all written works have value. Nicely put! I like your illustration too! Laurie: Thanks ! It was fun. Fiction: Different, but still literature. You know? I like your definition of literature -- "any written word that moves the reader in any sort of way" -- it really sums it up for me. Great post! Chrissy: Glad you liked my "sum up!" Well said! I agree that literature is a very subjective term. I think a good example of this is the disparities between literature sections from one bookshop to another. I especially like the idea that literature is something 'you know when you find'. Adding The Rent Collector to my TBR pile! Enjoyed this post and all the responses. I do think literature can be very different things to different people. Kind of like the whole genre debate--it's whatever it means to you that matters. I do have a fairly specific sense of what makes a novel very "literary" to me--beautiful prose, exceptional character development, has layers and depth, has a something to say about an important topic--but I recognize that not everyone may agree.